Our free Insights and Innovations for Machine & Equipment Builders seminar isn’t far off now. Come June 27th, PP will be offering our own expertise alongside some of our closest business partners. This series of blogs contains highlights from each session, so you have a taste of what to expect. In this, our latest entry, we will be showcasing the Smart Machines & Factories session, run by B&R. End-users are constantly striving to improve line OEE (overall equipment effectiveness), speed time-to-market for products and aggregate operational data into enterprise-level information. This drives their OEM Machine Builder suppliers to deliver equipment that enables these diverse current and future needs. B&R will talk about the characteristics of smart factories and smart machines; how end-users need flexible facilities, machines and systems, which brings the challenge of managing complexity with advanced automation. They will also share knowledge about cost savings from the impact of intelligent automation for inventory, OEE, logistics, quality and maintenance. For 35 years, B&R have been pursuing the mission of ‘Perfection in Automation’. This goal has led them to become a leading force in machine innovation, prototyping and manufacturing the latest components from their headquarters in Eggelsberg, Austria. 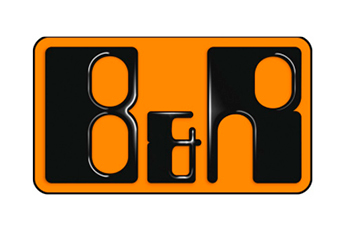 B&R are focused on building relationships, from customers to employees, suppliers and partners. They pride themselves on forming exceptional parnerships that benefit their customers in every phase of a project – from concept, to commissioning, to after-sales support. You can learn more about B&R here.